In a country like India where climate is tropical humid for almost 9 months, it is almost a necessity to have an air conditioner. But the requirement of every individual varies according to the structure of the room where that AC is to be installed. 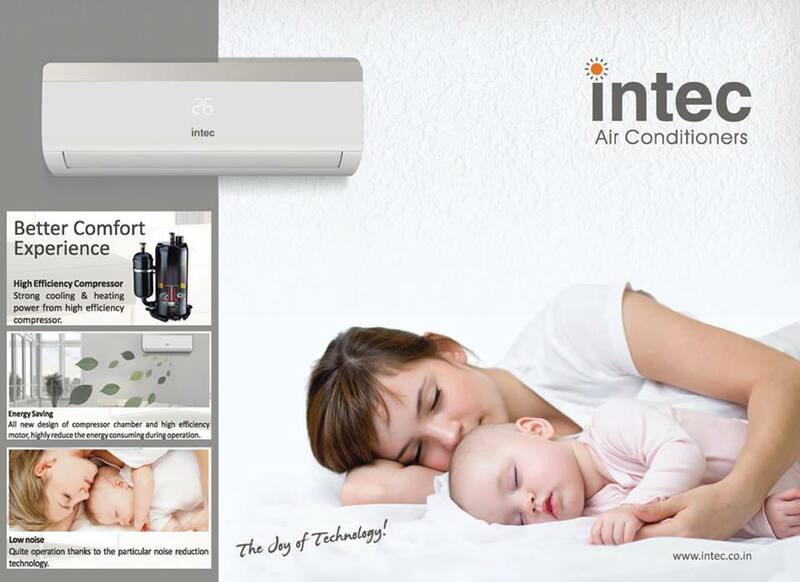 Intec is emerging as one of the leading air conditioner manufacturer in India, providing a range of air conditioners such as window, cassette, tower and split. Air conditioners have changed a lot over the years and their cooling capacity is just remarkable now. These ACs are designed to suit the precise requirements of the users. The Window air conditioners are the best solution for the space issue for people who couldn’t afford or did not want central air conditioning. In split ACs compressor unit is installed outside and there is less noise generation. If you want to focus on a particular room of your house then tower ACs are perfect for cooling down one room. These ACs come in varied sizes and shapes but are well known for their sleek looks.